Well good morning America! Hope you enjoyed your Thanksgiving last night and you’re not stuck in some line waiting to go Black Friday shopping. Chances are, most of you are just rolling out of bed and looking for the best hangover remedy. Good luck with the headache, haha! And a friendly reminder, ONLY A FEW DAYS LEFT TO WIN one of the 5 awesome prizes we have up for grabs. Read this weeks Movember post for more details or head straight to my Movember page and donate! Yesterday I took advantage of the fact that all my clients would be off celebrating. I decided to stay home and light up a good cigar with a tall glass of beer and enjoy the slightly warmer weather. 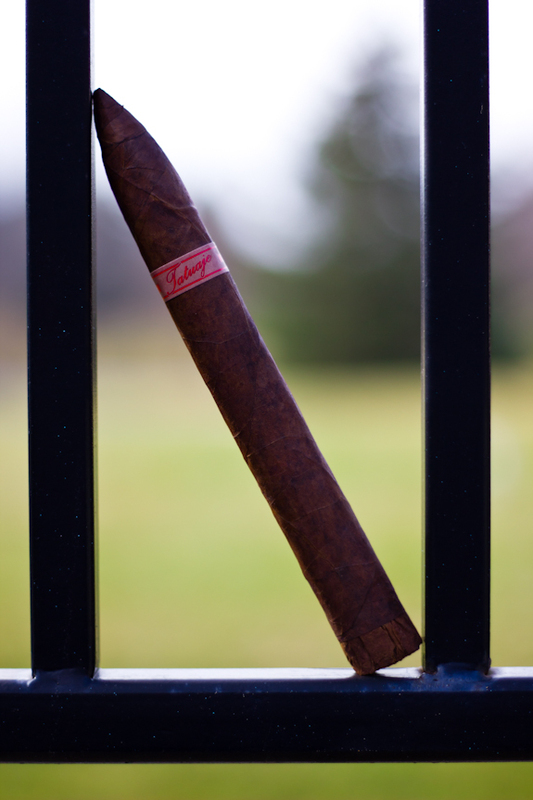 I decided to sit down with this years Monster release from Tatuaje, dubbed the Wolfman. If you didn’t know, Pete Johnson has been releasing a Halloween themed cigar each year for the past few years and it’s called the Monster Series. 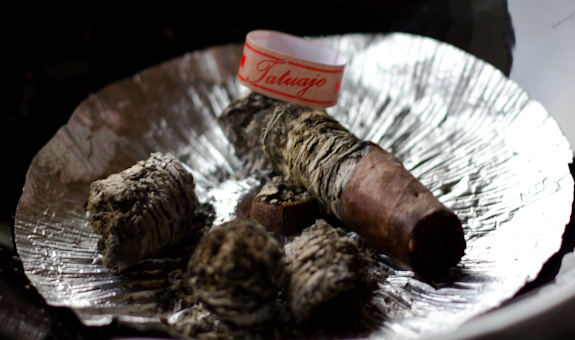 Last year, Tatuaje released “The Face” which we reviewed here. Before that you would have seen the Boris, Frank or Drac. Each one is inspired by a horror creature from a story or film. This years Wolfman release is no different, named after the infamous werewolf. The cigars came packed in a limited selection of dress boxes with 13 cigars as well as a slightly larger release of 10-count plain boxes. They were sold out very quickly across the country so I’m glad I was able to snag a few to get a review in. 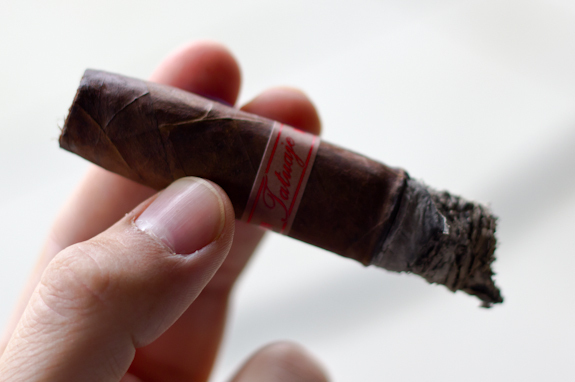 The Wolfman comes in with a shaggy foot to keep inline with the character of the cigar. Pete wanted to give it a sort of “ugly” unfinished look to match the theme. 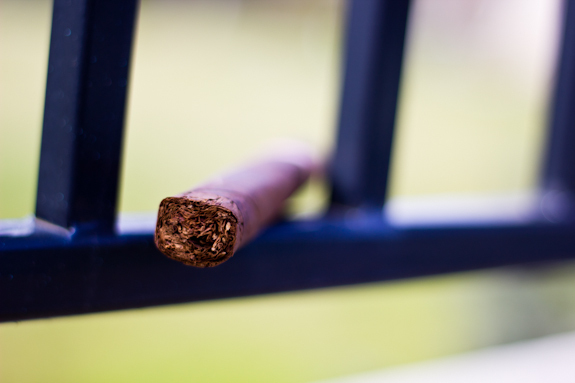 Other than the shaggy foot, the cigar looks to be of excellent construction. The band on this cigar also has one new thing from the older Monster Series sticks. On the sides of the band you can see “MONSTER” and “HALLOWEEN” written beside the normal Tatuaje name. Normally, there was nothing else on the bands aside from the brand. 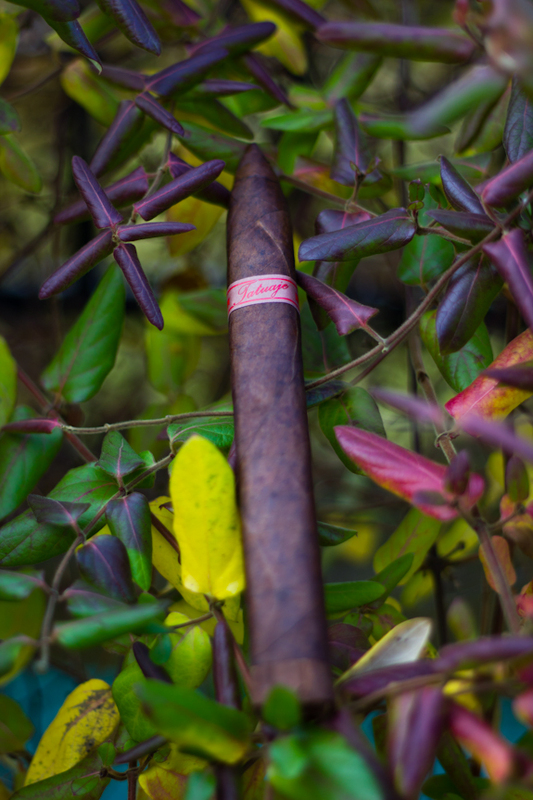 Now I know I’m coming in a little late to the game with this review but it did take quite a bit of digging and asking around to get these cigars. Especially up here to Canada where they aren’t sold and very few B&M’s are even willing to ship to. Tony’s local shops also don’t seem to get these in so we were both in a bit of a bind trying to track a few down. Alas, determination leads to success and I got them. 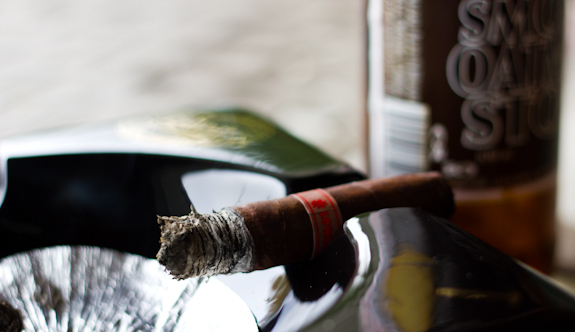 So here I am, sitting down and getting ready to light this cigar and write down my thoughts for your reading pleasure. 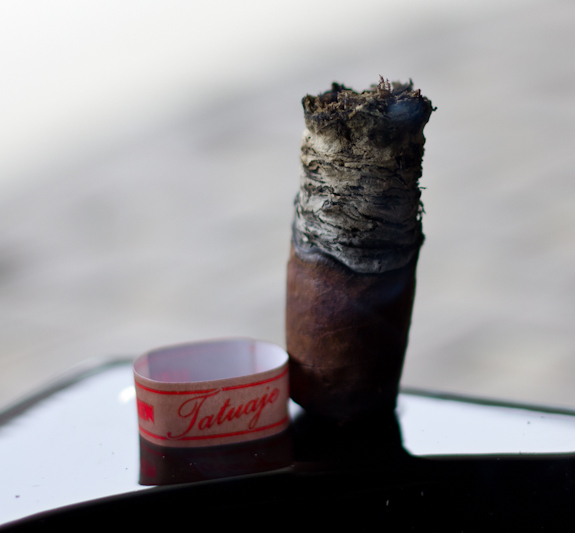 I think Pete Johnson has another winner in the ever popular Monster Series of cigars from Tatuaje. I wouldn’t go as far as saying it’s his best ever but these are tasty right out of the box and they seem to have some aging potential as well. 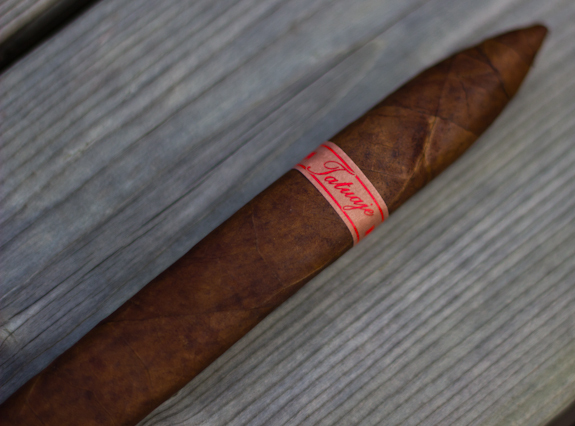 Other than a couple minor touch-ups the cigar burned fairly well and offered a lot of complexity to the palate that kept me interested the whole way through. 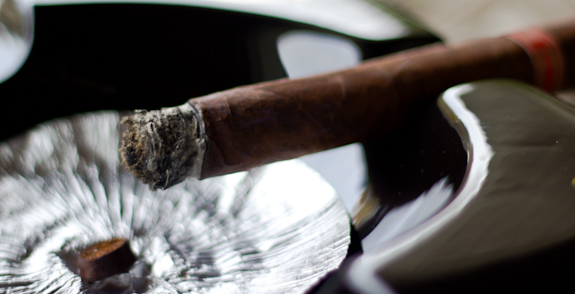 And that is sometimes a hard task when the cigar is this length of vitola, I tend to have a short attention span, lol! The Wolfman was quite balanced and smooth through the whole experience and I enjoyed it from start to finish. They are getting harder and harder to come by each year (especially for a Canadian!) so I’m glad I was able to grab a few. If you manage to find some, definitely pick a couple up for a special occasion! Today’s brew comes from a local brewery called Trafalgar Ales & Meads which is located about 45min from where I live in a place called Oakville, Ontario. I don’t actually see many other brews from these guys but I have picked up this brew a few times. 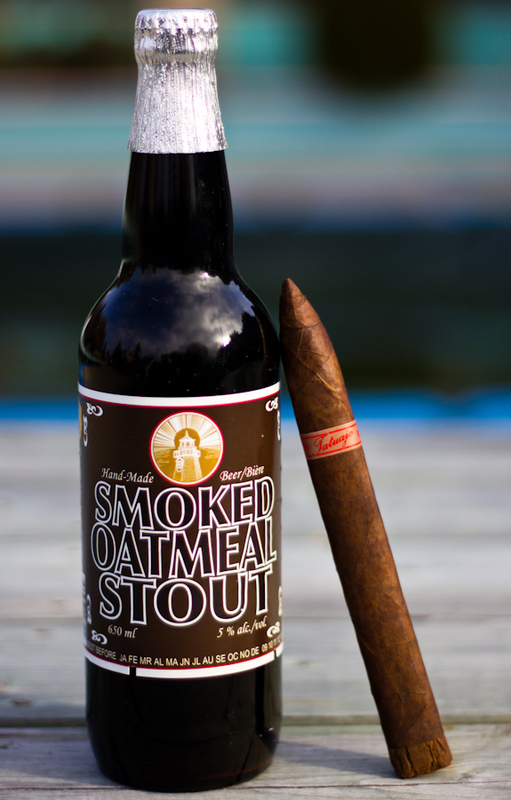 It’s called the Smoked Oatmeal Stout. The first time I saw this I thought it was going to have a heavy smoked flavor like a scotch or something, but that’s not the case at all. It’s actually a fairly light stout but it’s got the most head out of any beer I’ve seen before. I mean if you shake this bottle even a tiny bit, it’s going to explode when you crack it open. And pouring it takes like 30min to let the foam settle, it’s ridiculous but worth it. The flavors you get are chocolate, coffee and a malty deliciousness that mix together so well. 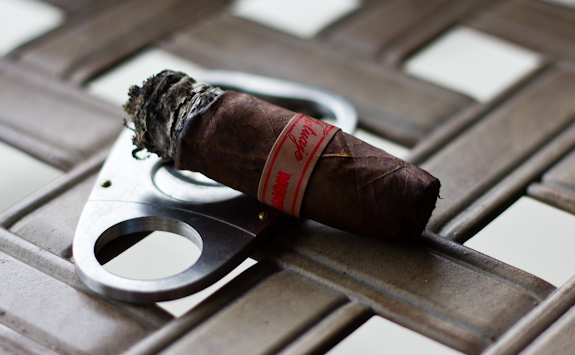 The array of flavors also makes for an excellent pairing for nearly any medium to full cigar, it would easily overpower a mild stick though. I think a nice Tawny Port would have gone excellently with the Wolfman or possibly even a strong coffee or black tea. Next Story → Casa Magna Domus Magnus Live Review! I had just a couple of little touchups like you said, nothing that detracted from the smoke. I did enjoy this, but I still think the Face was better. Now the Frank…. well that is a whole other ball game. Nice review! 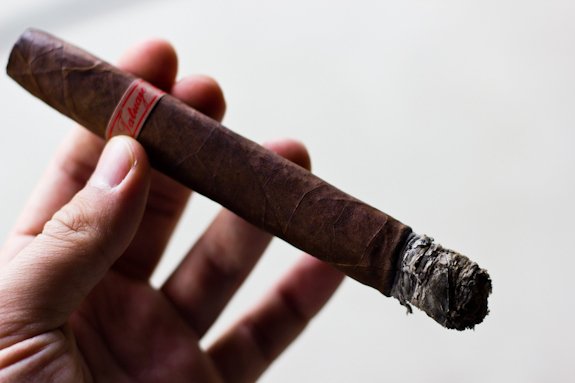 Pictures look great too… I am not a big stick kind of guy, I would much prefer this in a smaller vitola… Less time consumption. Thanks Tadd, I think Sumatra has a place in a rotation. Remember everyone used to go crazy for the Edge Sumatras? I wasn’t a huge fan of those either, they were good but not as good as the hype they seemed to get. They are a unique profile though so this was a nice change of pace. I haven’t had a Frank but I do have a Boris and a Drac that I need to smoke one of these days. Yeah I agree with you, it has a space… I just don’t see all the crazy hype over these. They are good and would be great at about $8. I do have one complaint…. Why the hell would they write “Halloween Monster” on the band and dirty up the classiness of the label? And to boot it is in Showard Gothic…. Really? Pete… A million dollar company and Showcard Gothic is the font you choose???? Really? lol, nice rant Tadd! Can’t say I disagree either… lol. If you notice, I didn’t bother snapping a pic of the side text, looked a little cheesy, hehe. I think if these were possible to be regular production at $8 a stick, they would be an awesome buy. But I must say, Pete’s Marketing skills on this line alone really show what good marketing can do for a product. Great review! I just was gifted one of these and have yet to smoke it. It will be my first Monster series cigar as well. 2 hours is a long smoke!